Are you looking for pure tobacco taste with just a hint of natural sweetness? Then try the popular Swisher Sweets Diamonds Cigarillo! Expect a smooth and rich taste with every delightful puff. 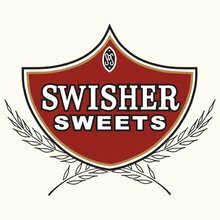 Swisher Diamonds Cigarillos are sold in 30 resealable pouches with 2 cigarillos in each, guaranteeing factory fresh flavor. I'm not sure I understand the bad reviews. I am transitioning from full size cigars to cigarillos and these are very nice. I just ordered 8 more double boxes. Husband says these are light, but flavorful & are one of his favorites. not a fan of swishers. not much enjoyment for me with these. I can't recommend them.